The colors of Ametrine remind me of the calming lavender growing in my backyard, lit by warm sunlight. Ametrine is a gemstone where citrine and amethyst are side by side. 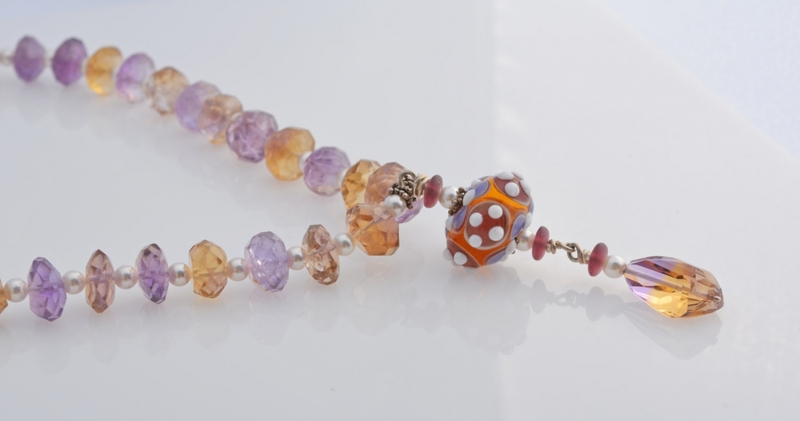 The Swarovski glass pearls pick up the dots on Vicki Lee's gorgeous lampwork bead which features white polka dots. 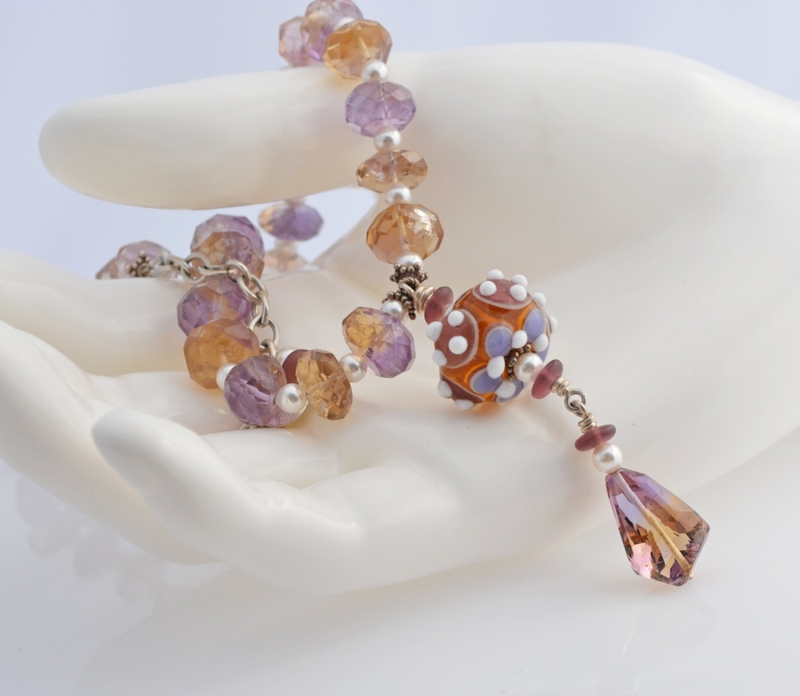 The Ametrine in the necklace is faceted and varies from opaque to more clear. 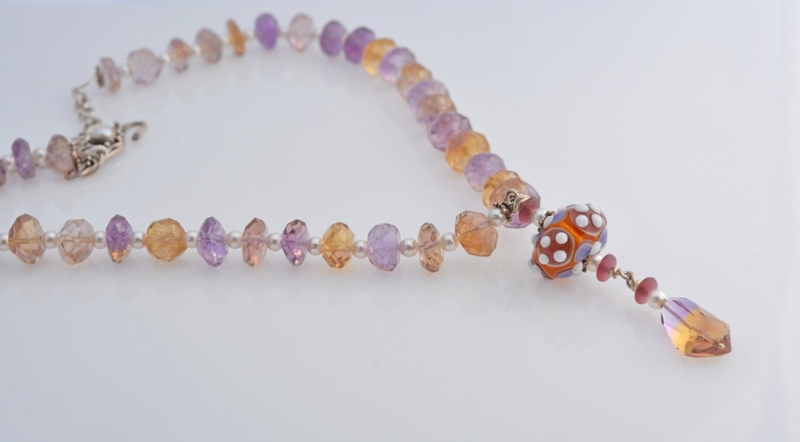 The faceted piece dangling in the centerpiece is a very high quality clear Ametrine of yellow and lavender. The pendant is about 2 3/8 inches long. 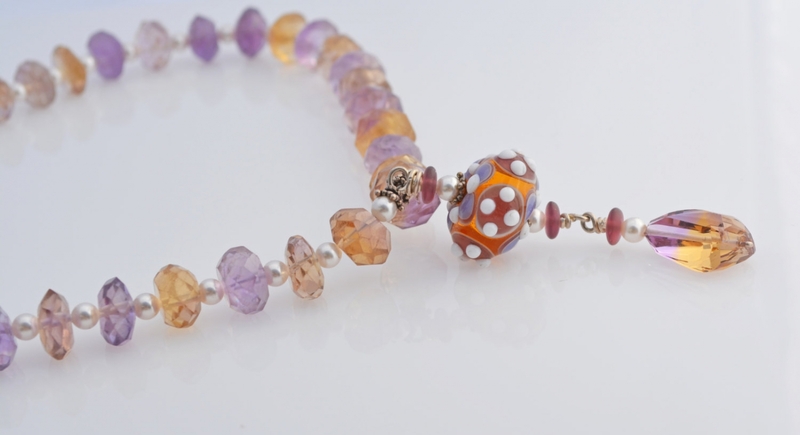 Lavender and Spice has an S-clasp that is Sterling Silver with a freshwater pearl in the center. Adjustable from 16-19 inches. This necklace is a classic that will go with many clothing options in your wardrobe from casual to that little black dress. A Mother of the Bride would look stunning in this, too!